This is a double layered black grosgrain bow wrapped into a boutique style. Two layers of a 5/8" white satin ribbon with lime green and black fairy flowers line the center of this bow. 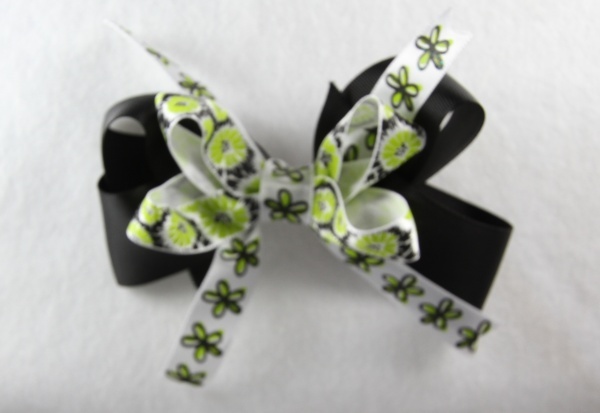 The top bow is a 5/8" white satin bow with lime green star burst flowers and black etchings. The center is a black grosgrain ribbon in a French knot and it is attached to a French clip. This is a great lime green, black and white hair bow!